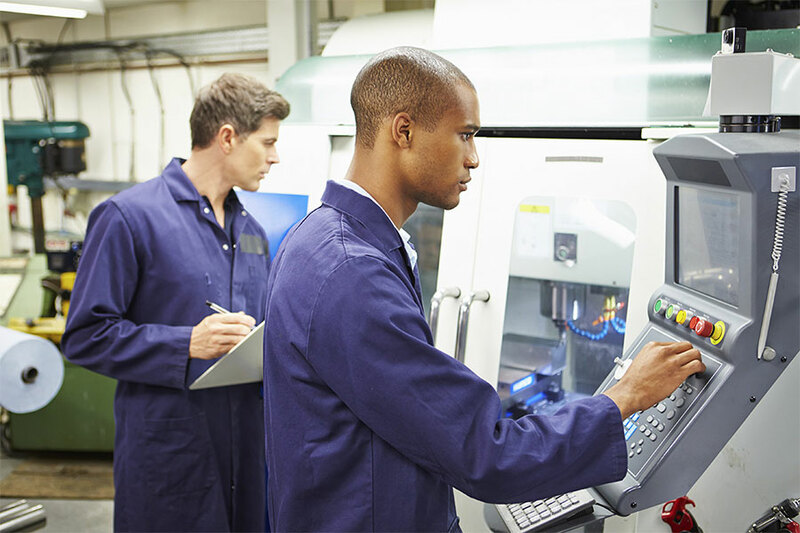 BobCAD-CAM Computer-Aided Design (CAD) software delivers advanced design power with an intuitive, modern interface that makes creating and editing simple & complex parts easier and more efficient than ever. Using the new ribbon bar interface makes finding features easy, even if you’re a first time user. 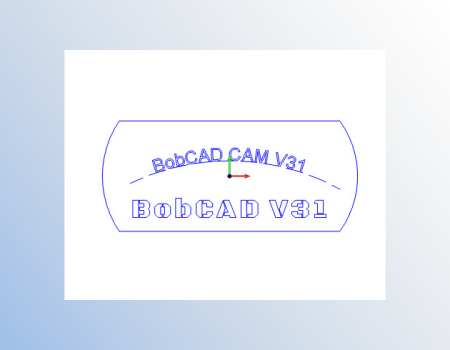 The BobCAD-CAM design software provides one of the largest selections of professional drawing and modeling tools for a shop environment. 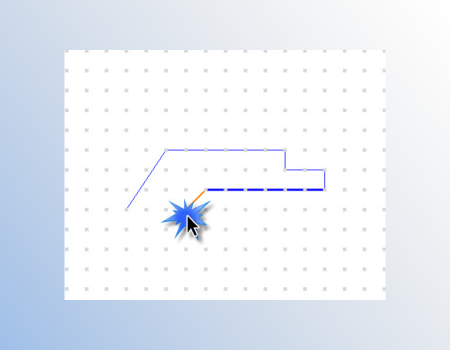 Speed up your geometry creation when using construction lines. A graphically-displayed aid helps you find horizontal and vertical locations, arc centers, tangency, intersection locations and more. 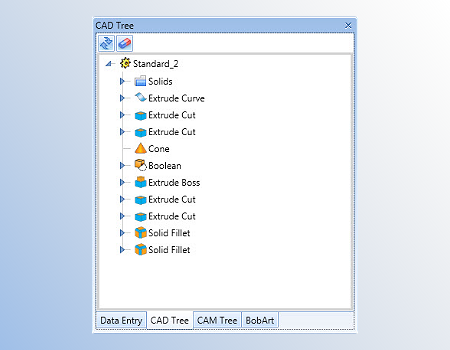 The CAD Design Tree keeps track of every step you take when creating & editing surfaces and solids models. Use the history to make edits to your 3D designs, suppress design features, rollback the design or delete design features. Complete geometry editing tools to modify, trim, scale, move, rotate and more. 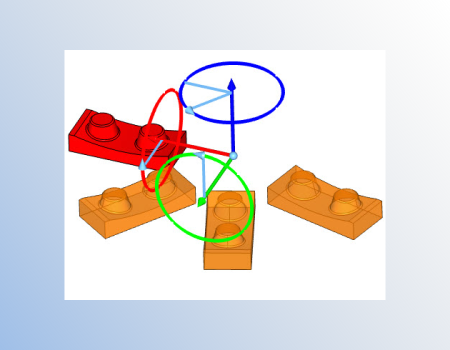 Use layers and colors to organize your CAD geometry. Create an unlimited number of layers to isolate geometry features and control their visibility. 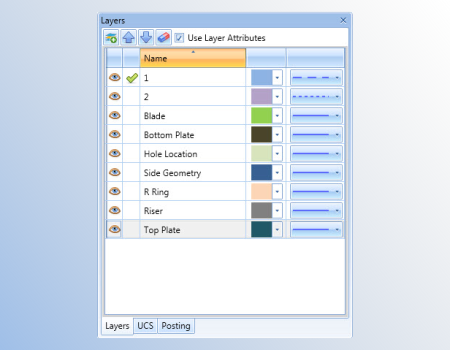 Customize layer names, colors, line style and order. Forty preprogrammed, commonly used fabrication shapes. 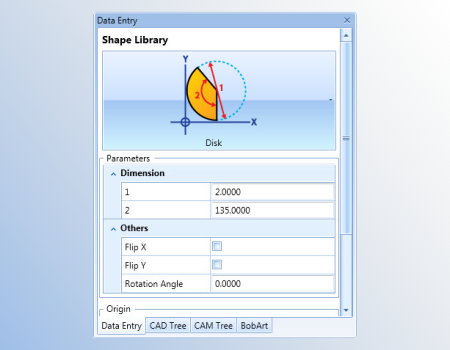 Used-defined variables for shape sizes, allowing you to parametrically change the design as needed. 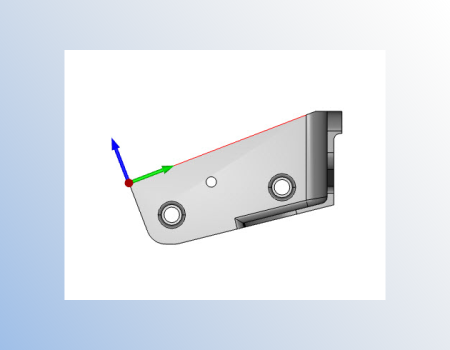 Whether you designed or imported a client’s file, BobCAD-CAM makes it easy to inspect the geometry, create part prints or generate inspection reports so you can easily understand and communicate part geometry dimensions. 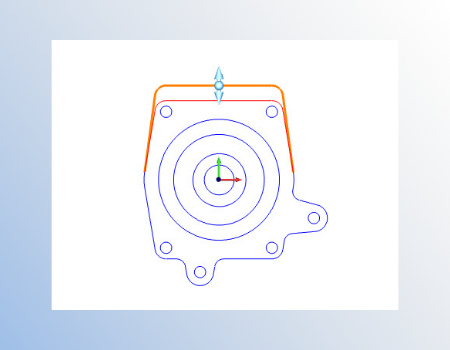 Add text to your drawings using windows standard fonts and open fonts or BobCAD-CAM fonts. Creating wireframe from surfaces or solids is used in both design and the machining processes. 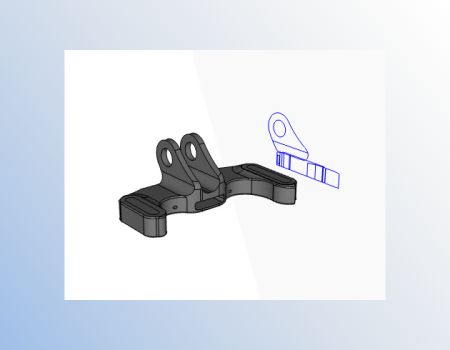 With Project to Z Plane, users flatten part profiles to useable chains in order to develop designs further or aid in the manufacturing process. Design with primitive model shapes like Sphere, Cube, Cone, Cylinder & Torus. 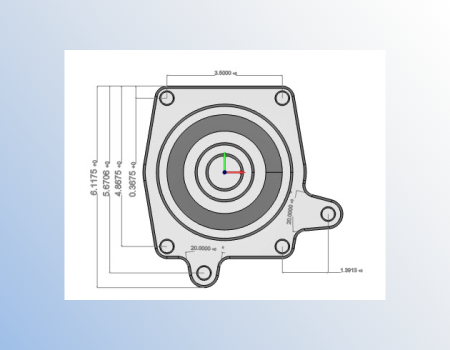 View internal details of your solid models by choosing from standard or custom drawing plans. 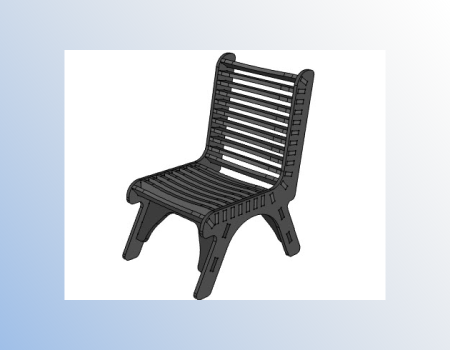 Use this detail for visual inspection, or to create wireframe based on the cutaway view. Editing tools to add to, take away or edge break your 3D models. 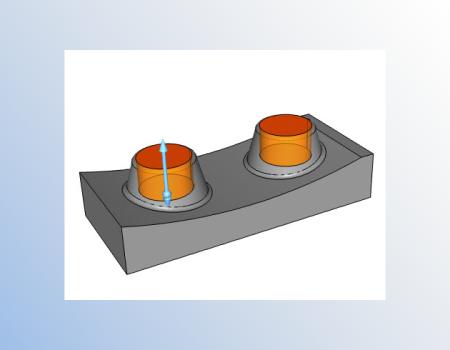 Split, shell & boolean are just some tools you can use to easily manipulate your models solid. Direct visual feedback of geometry creation and editing with design previews. 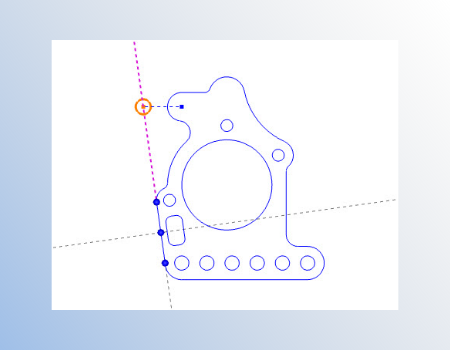 Before you commit to creating geometry, users are provided a graphic preview of the design feature, edit or location. Create flat and curved surfaces using the intuitive surface creating tools like Rectangular Plane, Circular Plane, Extrude Curve, Extrude Surface, Revolved, Sweep, Cross Section, Skin, Offset and more. User-defined uniform grid in the workspace to “snap” geometry to locations in the background, where no visible points are located. Used with all drawing functions which aids in the use of sketched features and edits along all axes & rotations. Editing tools to add to or take away or edge break your 3D surface models. 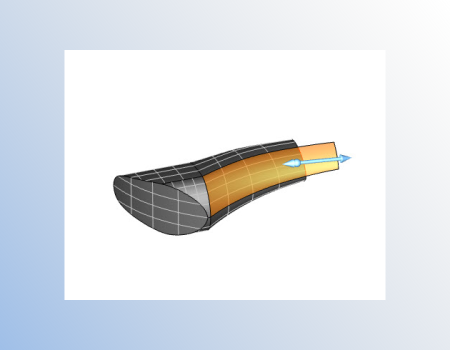 Unstitch, break, untrim, extend & fillet are just some of the tools you can use to easily manipulate your surface models. 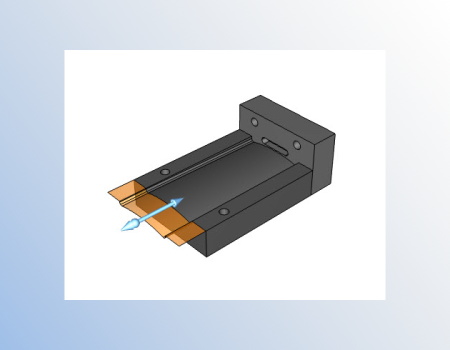 Choose from a wide variety of easy-to-use 2D geometry tools such as points, Ines, arcs, splines, offset and parallel lines to sketch your parts. 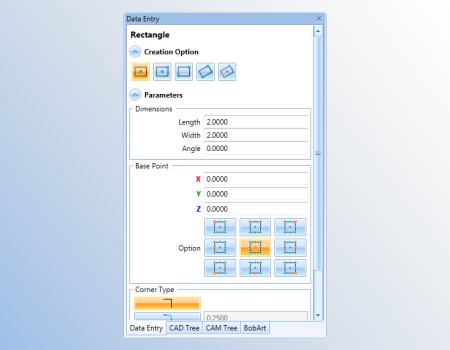 Create new or modify current user coordinate systems with BobCAD’s UCS manager. 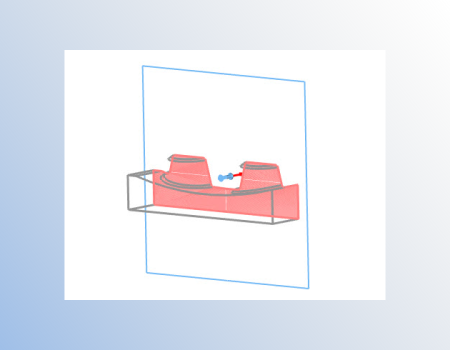 Allowing you to develop drawing planes used in creating 2D and 3D geometry.